This opinion piece from our CEO originally appeared in the Australian Financial Review on 1 October 2018. 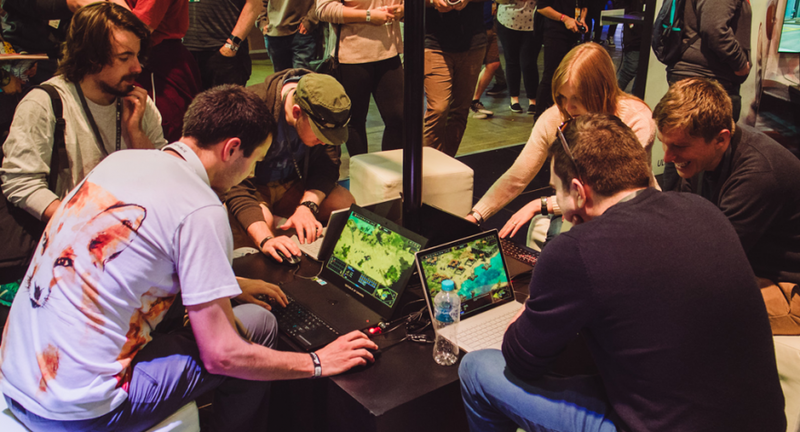 Despite a booming market for interactive games, the Australian sector is languishing in comparison to global peers, with complete indifference from government. When it comes to trade and economic policy, you’re unlikely to find any group of professionals who are content with the priority their industry receives from the government of the day – but none could mount a stronger argument than Australia’s interactive game developers, whose sector fails to be part of any government agenda despite the many opportunities the industry presents. Recent research has forecast that the global games market is on track to be worth $US137.9 billion this year and is expected to grow at a compound annual rate of around 10 per cent over the next three years. About half of all global revenue, or $US71.4 billion, will be generated right on our doorstep in the Asia-Pacific. Imagine if Australia’s video gaming industry could catch just a few per cent of that – it could improve our balance of trade by nearly $3 billion, with the majority (80 per cent) of the revenue generated by overseas cash? The reality is less rosy. A survey conducted by the Interactive Games and Entertainment Association (IGEA) earlier this year, An Industry Snapshot into the Australian Games Development Industry, found that Australian video game developers generated $118.5 million in revenue last year – barely enough to support around 928 full-time equivalent salaries. We know it could be doing much better. Canada’s gaming industry was in a similar place to Australia’s about two decades ago with approximately 1000 people working in the sector. Now it employs 22,000 people and adds $3.7 billion to the country’s GDP, assisted by a small number of judicious government policies including tax breaks and financial support. The reasons for the gaming industry’s enormous prosperity overseas stare most of us in the face on a daily basis. The addressable market for games has expanded to anyone with a reasonably modern smartphone – and the mobile games market in 2018 will generate half the industry’s overall global revenue. It also means that the big studios producing film-quality blockbuster console titles can no longer claim to define the core of the industry. Smaller and mid-size game development companies are producing everything from games for entertainment to more purposeful titles for education, health and aged care, and have just as much opportunity to make it big. There are few better examples of this than Adelaide gaming outfit Mighty Kingdom. The company has produced 75 games, has 40 million customers around the world and currently employs 46 staff. Since the beginning of the year, 10 more game developers have hung out a shingle in Adelaide hoping to match its success. It’s disappointing then that South Australia’s game development fund didn’t survive the transition to the new Marshall-led Liberal government, following the federal government’s abolishment of Labor’s $20 million Australian Interactive Games Fund (AIGF) under the Abbott-led Coalition. That is what appears to be under the greatest threat. Even though game development requires technical skill, gaming industry professionals identify themselves as creative artists and anyone brave enough to try and find that sharp line distinguishing film and multimedia is on a path to madness. Nevertheless, the Minister for Communications and the Arts continues to exclude game developers from Screen Australia funding. So far down the list of the government’s considerations was the gaming industry that it took a full 642 days to respond to the findings of the Senate’s Interactive Gaming Inquiry. And when it did, despite receiving bipartisan support, the government rejected seven of the committee’s eight recommendations – including reinstating the AIGF and introducing a refundable tax offset for the interactive gaming industry. It’s frustrating given that, unlike many industry groups, with the cooperation of the developer community, we have been able to volunteer firm metrics to support the argument that early grant and funding schemes have a genuine and positive impact on this industry. Australia’s video game development industry has at its disposal the creative and technical resources needed to produce gaming content to compete with the best in the world. With a little more policy support it could become one of our strongest knowledge exports. With a federal election around the corner, IGEA will continue to demonstrate – to all political parties – the industry’s potential to provide significant jobs and growth to Australia with a relatively small investment. Sadly though, the development industry appears to be falling into the role of a child at a formal dinner party: everyone is happy to give it a smile and a pat on the head when it does something clever, but to offer it anything more would be nuisance. Ron Curry is the CEO of the Interactive Games and Entertainment Association.